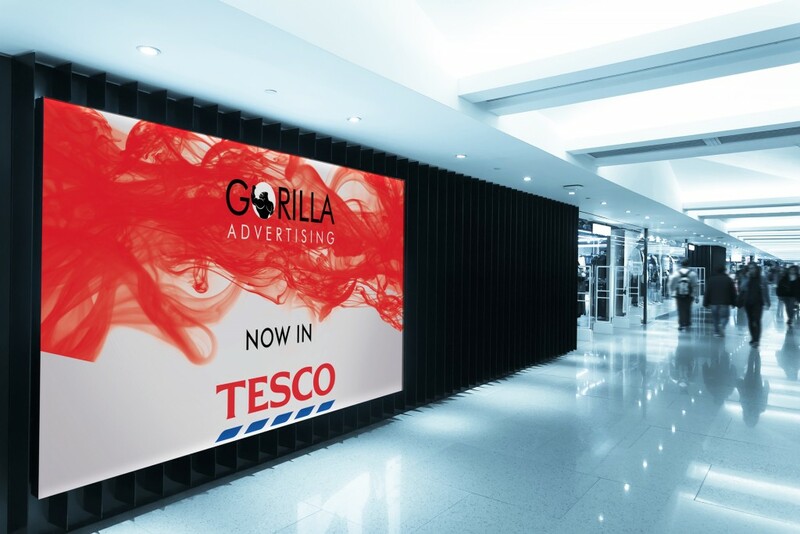 Gorilla are delighted to announce that we are now launching our screens in TESCO stores throughout the South West of the UK. Fraser goes on to say: ” Placing our customers in TESCO is one step further to Gorilla Advertising completing our mission of providing national low cost advertising to local, small, independent, business heroes like you and me. For Gorilla Advertising Tesco bring fantastic footfall to our screens, which directly benefits our customers, placed in key locations throughout the store our screens will be seen by millions of people and will provide opportunities for many small businesses to grow their customer base at no extra cost.